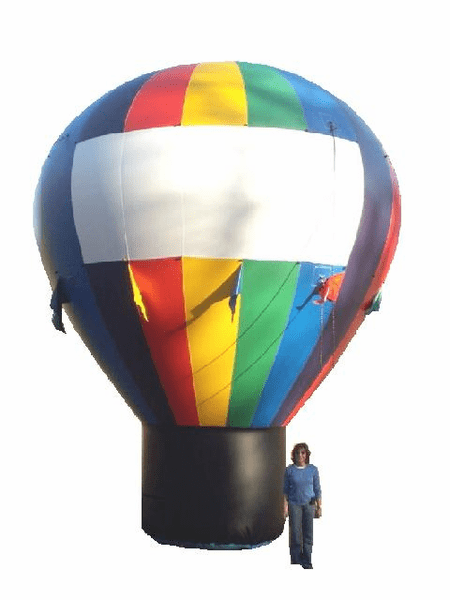 The most popular size of our hot air shaped inflatable line. Excellent visibility when ground installed in front of buildings, also, big enough to see on roofs with faux fronts. Remember, power lines are about 22'-25' from the ground so make sure of overhead clearance.